Knives, less than lethal weapons, Archery, Airguns, Hunting & Fishing accessories, militaria, etc. ONLY outdoor/shooting related items that do not fall under the Firearms or Firearms Parts & Ammo categories. Note: Electronics, clothes, vehicles, etc do NOT go here. They belong in The Bearpit. 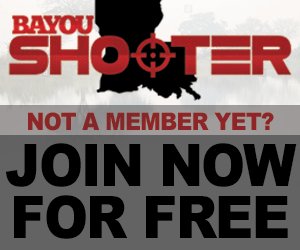 Moved: Looking to sell your product or advertise on Bayoushooter.com?